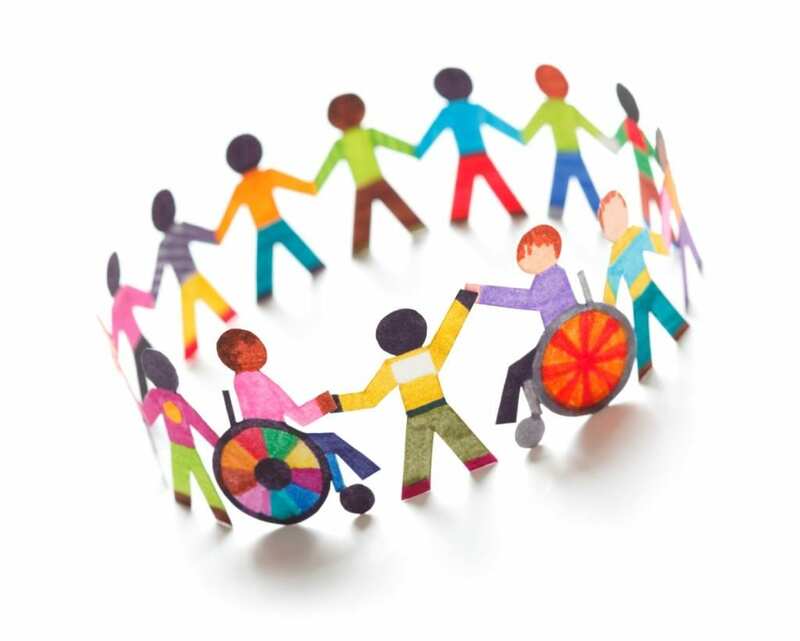 Welcome to our Special Educational Needs and disability (SEND) information website. We hope you will enjoy reading about the variety of ways in which we are able to support your child to reach his /her full potential in order to ensure a successful transition into adult life. What sort of children are given a place at Springwell? Children and young people who attend Springwell Learning Community may experience significant difficulties regulating their emotions and behaviours in response to life challenges, change, and relationships with both peers and/or adults. Their abilities to respond to educational opportunities and learn effectively are often impaired. Pupils are placed at the academy through Barnsley MBC Education, Health and Care Plan process if parents and the local authority agree this is in the child’s best interest. All pupils on roll have an EHC plan and pupils’ targets are linked to the outcomes of the EHC plan. Pupils will usually be referred to the special school by the LA; however, parents are welcome to visit the school at any time. My child hasn’t got a statement or EHC plan but is like the children at Springwell – what do I do ? If you think your child is like the children who come to Springwell, but they haven’t got a statement of Special Educational Needs or EHC plan, then talk with your child’s teacher or a health professional such as your GP or Health Visitor. Class Teachers and other class based staff contact parents regularly and informally to try and make sure parents and carers are aware of the progress or any difficulties which may have arisen throughout the academy day or week. If there are any concerns or worries regarding your child please contact the academy on 01226 291133. If it is not possible for the class teacher to speak to you straight away, they will return your call as soon as they can. If it is an urgent matter, please ask to speak with another member of the team. Their roles are briefly described below. Who are the other people providing services for students at Springwell? How does the academy ensure that all staff are fully equipped to meet the wide ranging needs of individual students? Progress for all students is tracked following data collection each Half term. Further assessment and interventions as and when appropriate. SENCO, to review attainment and progress data to identify students who may need intervention to address a particular or specific area of need. What support does the academy have for me as a parent of a child with SEN? Our academy is committed to supporting our pupils and their families. A member of the Senior Leadership Team is usually available to talk to parents /carers throughout the working day during term time. If this is not possible, a return call before the end of the working day will be made by the Class Teacher or Senior Leader. We have a full time Parental Support Advisor (PSA) who is available to help parents access the help they may need from other agencies. This sometimes takes the form of developing or reviewing a EHA (Early Help Assessment) in order for parents to evaluate and involve other professionals if appropriate. Our PSA, in conjunction with the Disabled Children’s Team Nurses, facilitates a specialist parenting programme, CYGNET, for students who are on the autism spectrum. Meeting the needs of all students. ‘Quality First Teaching’ is an entitlement for all students. Springwell Learning Community constantly strives to ensure that this is of a ‘good’ or ‘outstanding’ quality at all times. This is about teachers meeting the needs of all our learners in the classroom. Lessons are carefully differentiated to take account of different learning styles and abilities. Teachers are fully informed about student’s starting point using KS2 data. There is an ethos of continued professional development embedded in school to ensure that all staff members are trained and informed of new developments in education and in particular developments in the teaching of pupils with a broad spectrum of Special Educational Needs. Use of ICT facilities including software packages to support preferred learning styles. In some cases it may be necessary to develop very personalised schemes of work or timetables. If appropriate, the academy will include vocational courses if it is felt this will benefit individual students, particularly in terms of progression post 16. The academy currently works in collaboration with JT Auto Smart (motor vehicle body repair), BCB (Building and Construction), Dearne Valley Personal Development to provide opportunities for students with require a greater amount of personalisation in their timetable. Teachers plan to meet individual needs on a daily basis in order to ensure that all the students in the class can make the most of their learning experiences and make outstanding progress. Some students may require interventions which are ‘additional to and different from’ that which is normally provided for all students in the classroom. This will be discussed with you during the review process or at Family Learning Day. Typically the intervention will be to support an identified need such as developing reading, writing, maths or communication skills. The work carried out is monitored by the SENCO and delivered by additional staff involvement both individually and in whole class lessons. For some children these interventions may not be enough to help your child make progress. In consultation with parents, the academy may decide to involve some external professionals or agencies to provide them with more specialist advice and guidance in order to support them to remove the barriers to your child’s learning. This external support might be from an Educational Psychologist; Speech and Language Therapist; Occupational / Physiotherapist; Specialist Advisory Teacher; or a medical professional. We have close links with Barnsley College and host a sixth form provision provided by Barnsley College on Springwell site to enable our pupils to complete the first year of work for Barnsley College before either entering the world of work via employment or modern apprenticeship or continuing with a course of study at Barnsley College as a full-time student. Complete a Student Wellbeing Tracker and One Page Profile. Assessment of student progress takes place on a regular and daily basis which may include teacher, peer and self-review assessments. Assessments also take place at the end of specific pieces of work. All assessments aim to inform teacher’s planning of the student’s next steps in learning. In addition to academic assessments, other assessments will be completed such as Boxall Profile (Emotional and Social development), BPVS (Receptive Language Skills), PASS (Pupil’s Attitude to Self and the Academy) and others. This information is analysed to determine their strengths and areas for development. Progress data and flight paths are shared with students and parents on a regular basis, particularly Family Learning Days so that they are aware of what their next steps to progress are.